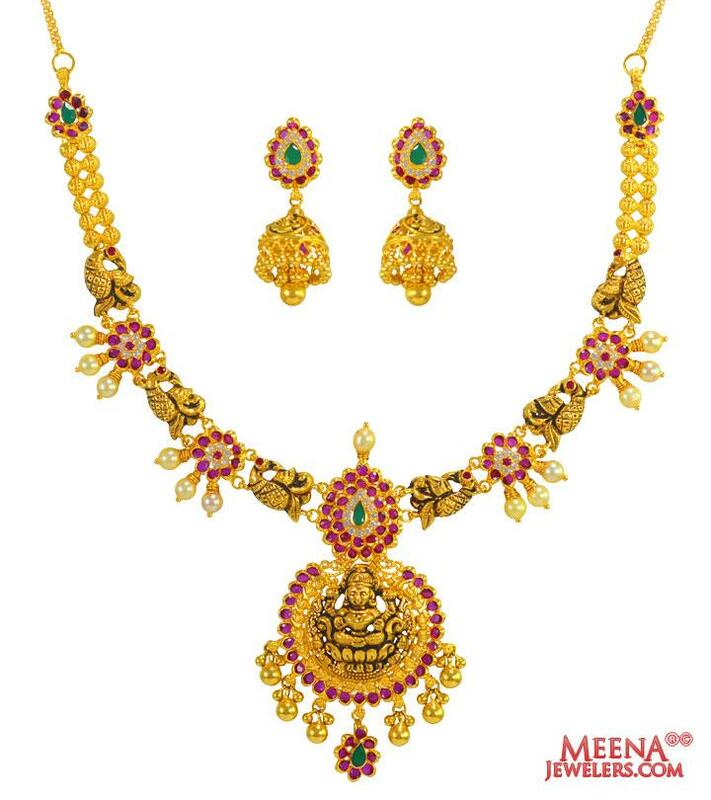 22 Kt Gold Necklace and Earrings set with Goddesses Laxmi embossed on Lotus. Necklace set is full of matte finished design pattern. 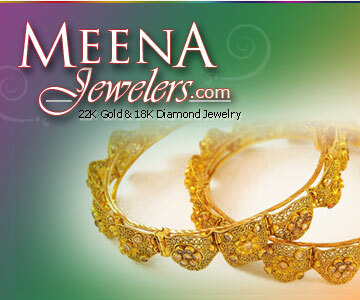 Ruby, Emerald, Pearl, Cubic Zirconia stones studded and hanging gold balls adds exclusiveness to the set. Necklace is attached to back chain. Necklace width is 35.60 mm wide. Earring is 38.00 mm Long and 12.60 mm wide.